4 Days, 1500 miles and 1 Big Adventure just about sums up Rex to Nice. Of all the rallies out there, this one stands out from the crowd. 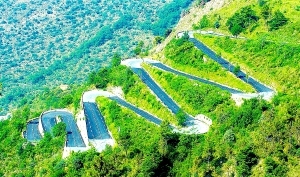 It’s the only charity road trip which travels through the Alps from start to finish. Here’s your invitation to participate most bonkers and wacky road-trip for rusty wrecks. This Banger Rally will take you from amazing lakes to snow capped mountain tops of and much more. 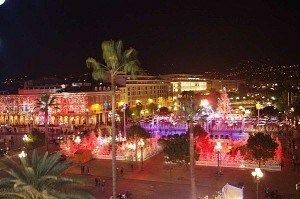 All before reaching Frances capital city of the Alpes Maritimes, the Fabulous south coast resort of “Nice”. The night before the big off, we’ve got a top spot in the main night life area of this great city. This will be your chance to meet the rest of the teams and sign on to Rex’s wacky banger charity roadtrip. 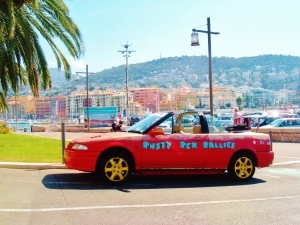 Today will be the start of banger rally challenge “Rex to Nice”. 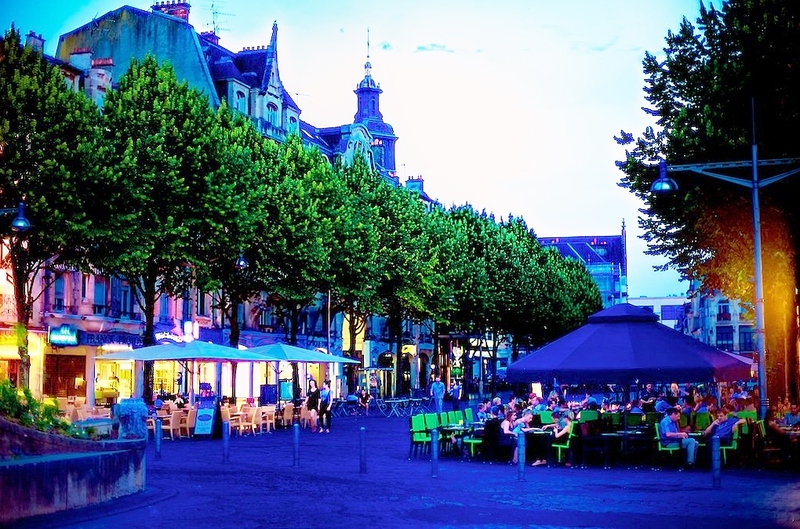 The banger rally will start from the pit lane of the old F1 Street circuit and head off through the champagne house’s/ vineyards, on the way to Interlaken, Switzerland. Day2 and it’s a massive day we will leave Interlaken and head over up to 9 mountain pass, including the awesome Stelvio pass. This will take all the participants of the banger rally to Bormio, Italy the next over night stop. Day3 and you’ll be taking in amazing views along lake Como and passing in and out of Italy/Switzerland. The banger rally will visit the dam from Goldeye before taking The Great and little st Bernard passes. 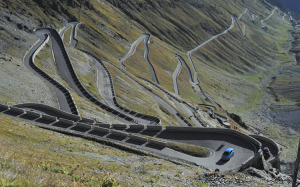 The two passes are famous from the film “The Italian Job”. 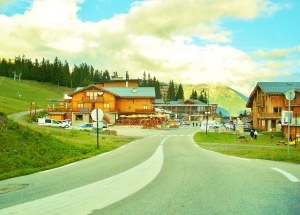 Then, the charity road trip will finish in Val-d’Isere France, just in time for the brilliant Bastille day Celebrations. Day4 The final day of the rally and you will drive the highest road in Europe,the fabulous Gorges du Verdon, route Napoléon and the Monte-Carlo Rallies “Col de Turini” on the way to Monaco and the grand banger-rally challenge final send off. The last nights party and prize giving in a top bar on the front in Nice port. Day 4 will be the end of this fabulous charity road trip.